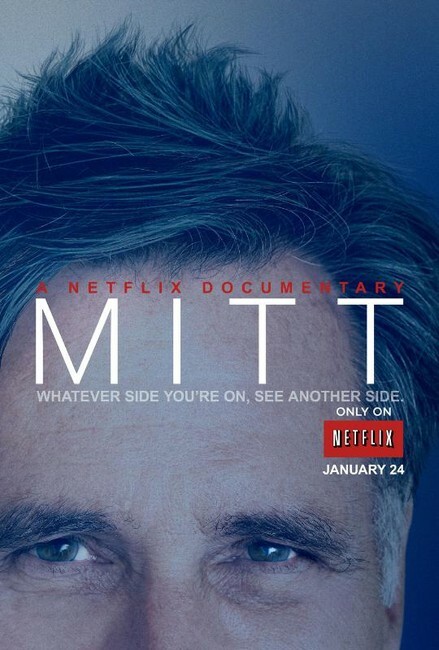 What Netflix’s ‘Mitt’ Taught Me About the Way I View Politicians | Geeking out about a lot of things. Everyone knows by now that Netflix has fantastic programming. House of Cards and Orange is the New Black are some of the most popular shows out there, and for good reason. “TV” shows aren’t the only thing Netflix is killing at right now though. Netflix-produced documentaries are also killing at the moment. Last year, their documentary The Square was nominated for an Oscar. This year, their documentary The Battered Bastards of Baseball (which is about as entertaining as any sports film can get) was picked up to be made into a major motion picture. And, just a few months ago, they released Mitt, an inside look at Mitt Romney during the 2008 and 2012 presidential elections. I recently got the chance to watch Mitt, and I have to say, it blew my mind in a very unfortunate way. I won’t go too deep into where my politics stand, but let’s just say I voted for Obama in 2012. In my eyes, Romney was kind of a joke. I viewed him as a robot, some sort of automaton who just spewed talking points and showed no emotion. I made fun of his son, Tagg, because his name just sounds so damn goofy. Romney came across as hardly human, especially when put up against the King of Charisma that is Barack Obama. I couldn’t even fathom the guy telling a joke or sincerely smiling at anything. That’s what drew me to Mitt in the first place. Why would anybody want to make a documentary about the world’s most boring man? How would they possibly pull it off? It was an intriguing concept to say the least. And you know what? Within 3 minutes, I was sold. Not because of how the documentary was being executed, but because I forged a connection with Romney in the opening seconds, which shows Romney, surrounded by his family on Election Night 2012, finally admitting to himself that he lost the election. I felt for him. The next 90 minutes had me hanging on to every little scene. Every little victory Romney had, I cheered for him, despite the fact that I don’t or didn’t support him politically. As he holds his own against the likes of Obama and John McCain in debates, I found myself rooting for him. And then he lost the 2012 election, and I genuinely felt sad. And then the movie ended. And I sat there, flabbergasted. How did this film make me root for somebody I rooted so hard against? Mitt does something brilliant, yet so simple, in its execution. It focuses on Romney as a family man primarily, not a politician. The film has very few scenes of him actually in the presence of his advisers, focusing mostly on his interactions with those closest to him–his wife, his sons, his grandchildren, etc. He constantly asks for advice, and they give him honest feedback. Watching these dynamics play out made me realize–gasp–Mitt Romney is just like you and me. He has people he loves, he has goals he cares deeply about, he works hard, he has a sense of humor, etc. Mitt humanizes a man that needed some humanizing in 2012. I can honestly say that if the film is, in fact, an accurate portrayal of the man that is Mitt Romney, than I find him incredibly likable–someone I’d love to sit down and have a chat and a beer with. As my feelings for somebody I kind of despised shifted entirely in the course of 9o minutes, I discovered something about the way I feel about politicians that I think is a fundamental problem in the way we all view those responsible for leading our country. The easiest way to articulate it is that I view politicians that I like as good people, people who have feelings and are empathetic. Those politicians I don’t like, I tend to depersonalize them–I think of them as nothing more than a body with a brain that contains bad ideas. I think this depersonalization makes it easy for detractors to attack those in power who they don’t like. When I hear people wishing for physical harm to come upon the president, my first thought is, “but he’s a father…he has kids…why would you ever wish that?” But, that’s just how it seems to go. We don’t like a politician, so we depersonalize them. Much of this comes out of anger that is harvested from disagreement. Political views are some of the strongest views a person holds. And when somebody disagrees with something you hold so personally, the first instinct is to go on the defense or attack. We tend to view dissenters as enemies, and enemies are depersonalized to help us justify those feelings. If you get a chance though, please watch Mitt. If you already like they guy, then the film should be one big treat for you. If you don’t like him, be open minded, and you may (and I hope) have an experience similar to mine.